Tom Fletcher had us all blubbing at his wedding speech video and made one of the sweetest birth announcement clips we’ve ever seen. Now that his son Buzz is on the scene the super-cute-video potential is off the scale. Even the simplest things in life are incredible when seen for the first time. Like a dandelion. Tom Fletcher, McBusted singer and dad of 13-month-old Buzz, filmed himself and his son out on a country walk and the tot’s reaction to a dandelion is hilarious. The clip — which has gone viral — is essentially just a baby giggling at his dad but it couldn’t be cuter. Seriously, watch it. We challenge you not to laugh. “This is why being a Dad is awesome. 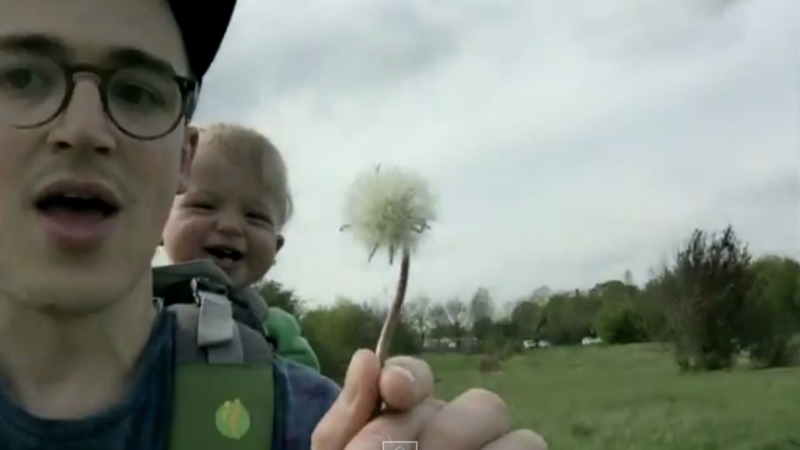 This is the first time my son Buzz has ever seen a dandelion… I think he liked it,” Tom captioned the two-minute clip.